The Brentwood Police Department’s accident data shows that between 2012 and 2016 the number of crashes in Brentwood increased by an incredible 60%. 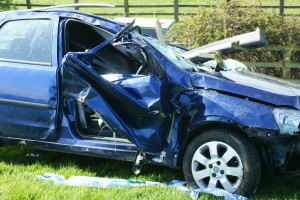 Brentwood is not alone in seeing an increase in the number of car crashes. The National Highway Traffic Safety Administration has reported this is a trend nationwide. While Brentwood’s population has grown slightly during the same time period, the biggest growth year was only 2.47%., and last year Brentwood’s growth was only .59%. Of course, non-residents use Brentwood streets too but traffic counts show the number of cars on major Brentwood thoroughfares only increased 8% between 2012 and 2017. So what is the cause of the alarming rise in accidents? Perhaps not surprisingly, TDOT attributes at least 27% of the increase to distracted drivers. Running red lights was also a significant factor. Notably, the majority of drivers surveyed conceded they knew the dangers associated with both distracted driving and running red lights yet 1/3 of those same drivers admitted to doing both anyway, so there continues to be a disconnect between knowledge and behavior. Smart phones allow someone you know to contact you via multiple methods at any time of the day. According to psychologists, because we are primarily social animals, our brains naturally respond to and can come addicted to the stimuli. So when we hear the ring, ping or other alert, we find it difficult to ignore it. In fact, psychologists have identified a condition known as “phantom text syndrome”, where a person thinks they hear a text alert but there is not one. Even if you don’t suffer with phantom text syndrome, too many people reflexively check their phones every few minutes looking for any new information whether it be a “like” of something you posted to social media or a response to a text or a new email. Of course, when you are driving, your attention needs to be on the road instead of on your phone. Even when you turn your attention back to driving, there is a lag in your brain before it fully returns to the task at hand; this is known as the switch cost. The best way to avoid the urge to use your phone while driving is to install an app or activate a feature on your phone that automatically blocks alerts while driving. Then to prevent phantom text syndrome or just the habitual act of checking your phone, put your phone out of reach in the backseat, in the trunk, etc. If you or a loved one has been injured by a distracted driver, we might be able to help. To find out in a free no-obligation consultation, give our award-winning lawyers a call at 615-742-4880 (Nashville) or 615-867-9900 (Murfreesboro) or 866-812-8787 (toll-free). We will answer your questions and let you know if we can help. We handle all accident cases on a contingency basis so we only get paid if we recover money for you. But, please do not delay. The law only allows you a limited time to pursue an injury or death claim and then it is barred.